I've never used image shack before, excuse the poor formatting. Bugger, I'm gonna lose this fifthieth game.. 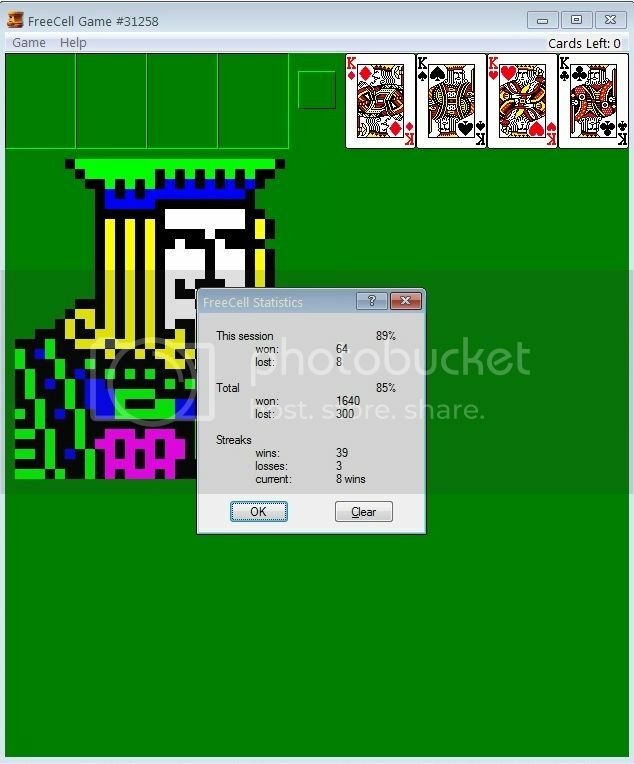 I try, I try ... free up the aces first, no matter how; then look for the twos while also emptying up a line to start lying down a sequence from king on down. holy crap, just saw this old post .. kinda doesnt make it worth ever playing the game again, no way am i gonna beat that. i mean, not that it's really worth playing this game in the first place, it's just .. yeah. 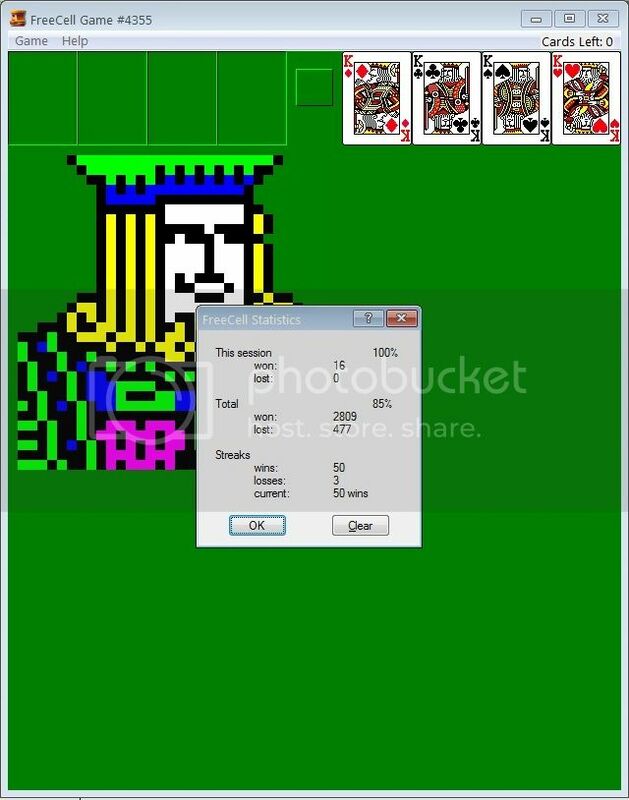 I love FreeCell, but can't find a decent one to play on my MacBook when I'm on the road. Anybody know of one that's downloadable?